Pirates of the Caribbean 5's Super Bowl trailer gave us a look at an amazing ghost ship in the film, captained by Jack’s new rival, the undead Captain Salazar. Now, Lego has revealed it’s turning the Salazar’s ghost ship into a humongous new model—one that can open itself up just like the one in the movie, which is totally freaky for a ship. 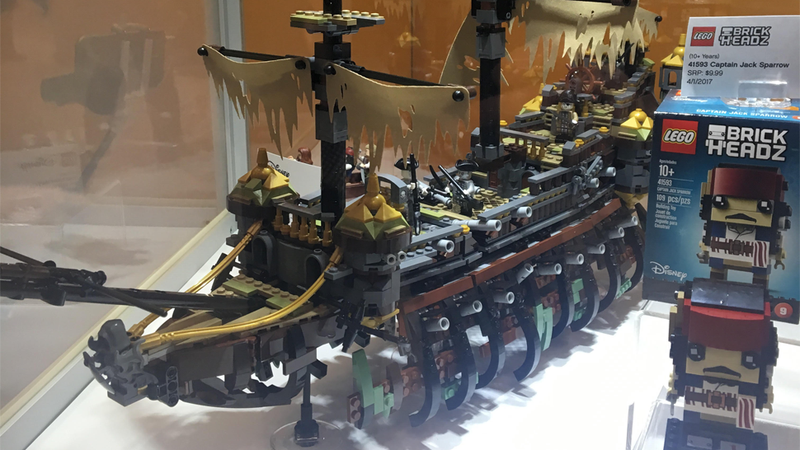 Revealed at New York Toy Fair this morning, the 2,200 piece Silent Mary set might just be one of the most bizarre ships Lego has ever made, either in their own traditional Pirate-themed lines or for Pirates of the Caribbean. The whole ship doesn’t actually have a base—it’s hull is all decayed and lined like a skeletal rib cage, and floats in the air (through movie magic in the film, the Lego version has its own stands to support it, of course). Yahoo got some more pictures of the ship with its biggest action feature, however: the front half of the whole thing can tilt itself up like it does in the trailer. 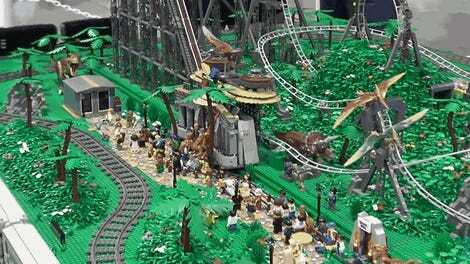 It looks totally weird, and yet kind of awesome in Lego form. The detailing to get the grungy, decaying look of the whole thing is really well done. When fully built, the Silent Mary is a beast of a vessel, even without the ability to contort itself in ways no other ship can—coming in at 26 inches from bow to stern, and 18 inches tall from bottom to the top of its tallest decrepit mast. Aside from the ship itself, the set comes with a small rowboat for the heroes to desperately sail away from the Mary in, and eight minifigures: Jack Sparrow, Henry, and Carina, and then villains Lieutenant Lesaro, Captain Salazar, Officer Magda, Officer Santos, and the Silent Mary Masthead itself. That last one feels like a bit of a cheat addition if you ask me, but overall, the ship itself is a really intriguing looking kit, even if it’s not a traditional pirate ship. The Silent Mary will set you back $200 when it releases April 1.